Oxford Real Estate is one of Sydney’s leading estate agents established in the 1950’s by Mario Marano. The legacy continues with Michael and son Marc Marano continuing its tradition of excellence that’s instilled in every employee. 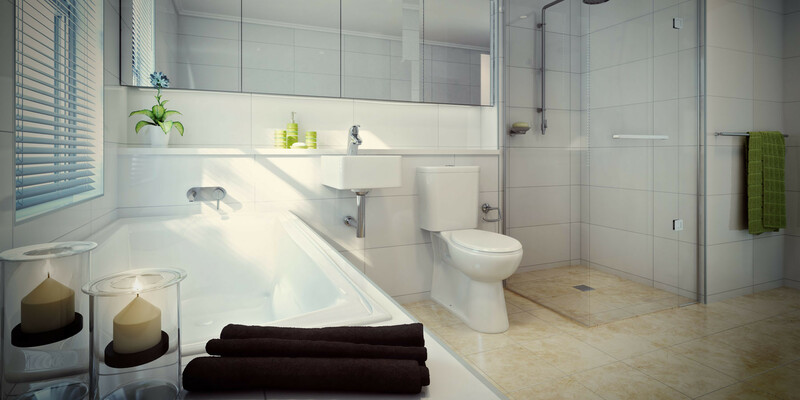 Working with Oxford commercial on many projects over the years our team have a great respect for their organised, courteous and professional approach to their jobs which really sets them apart in a crowd. 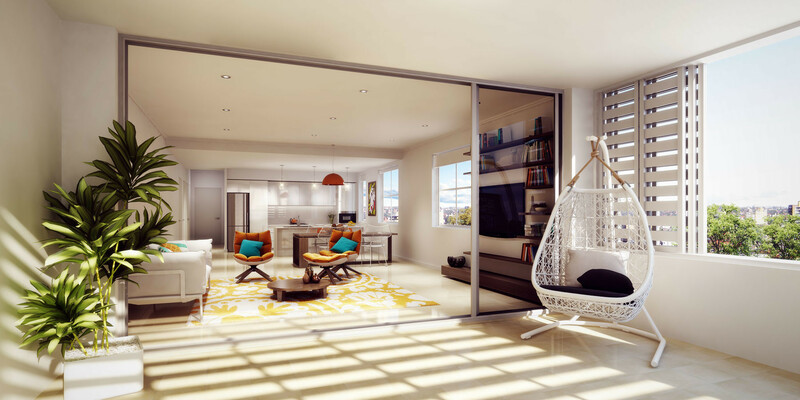 Situated in Ryde Sydney, the Blaxland Road development boasts seventeen residential apartments with spacious and contemporary open plan design and an additional three commercial spaces on the ground floor to service its residents. Our team was approached by Anson Kolb of Oxford Real Estate to create five high quality photorealistic images that would enhance their advertising material both online and offline to provide an edge in this highly competitive market. 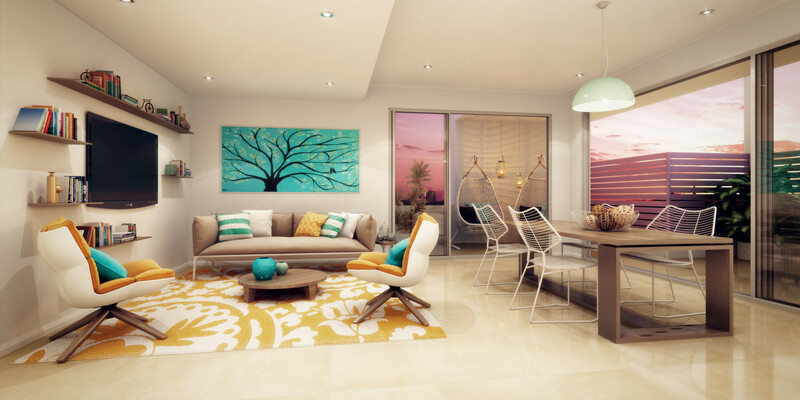 Our goal was to focus on the large open plan spaces and indoor/outdoor living that this development truly has to offer. Our client really wanted to highlight the huge amounts of natural lighting this development has to offer which is rarely seen as developers cram in as many units as possible just to make a buck. 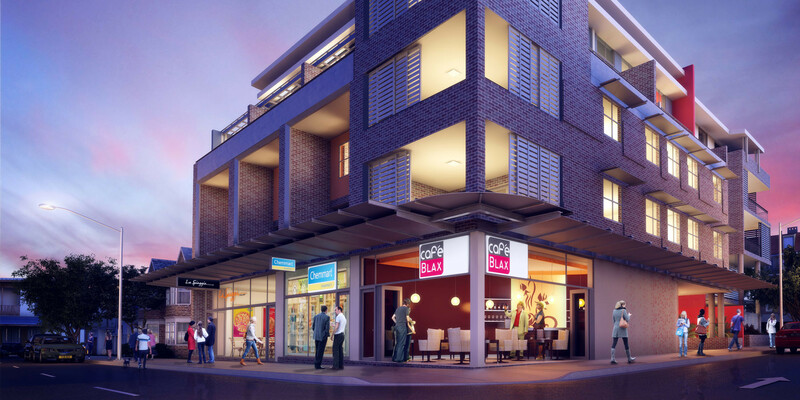 This developer has taken a very different approach focusing on the customers needs and wants with only seventeen units in this large spacious development. 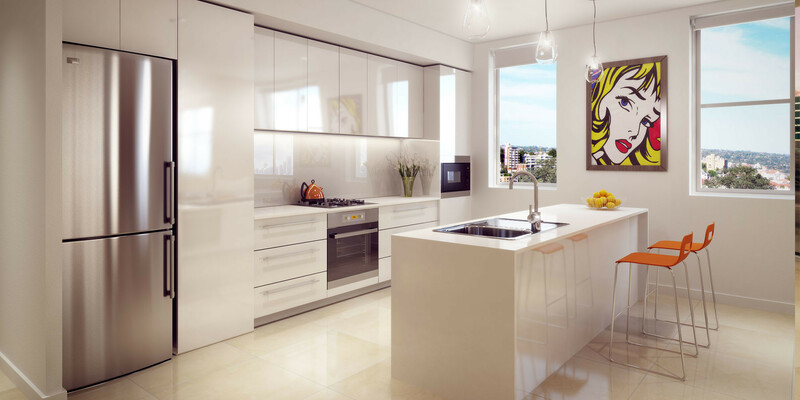 In addition these units offer modern minimalist form and function with high gloss kitchen’s boasting clean lines and shadow set cornice for that extra touch of class.